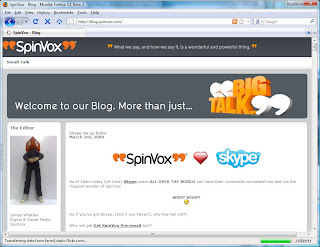 Skype has got together with SpinVox to enable you to send a text message using your voice in Skype. However, be warned that if you make it over 160 characters, you will be charged for additional texts. (I.e. you are charged for the first one too.) Sorry, but there are no freebies when it comes to text messaging.